Huge discount prices on all of our popular models! 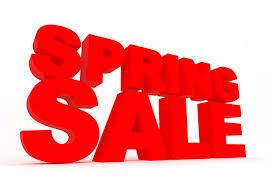 Our Spring RV Sale Prices are better than ever… Carteret RV is slashing prices for the Spring Season Inventory Sale! Enjoy huge price reductions on all of our 2017 models and many of the 2018 models! CHECK OUT OUR RV SALE & ONGOING SPECIALS HERE!